Learn how to tap into students’ natural curiosity using technology. Pinto and Keeler share a wealth of innovative ways to integrate digital tools in the primary classroom to make learning engaging and relevant for even the youngest of today’s twenty-first-century learners. Are Littles ‘big enough’ to use technology in the classroom? Yes! Pre-K and elementary school-aged children are naturally curious about the world around them. They love to explore and play, in fact, that’s how they learn. That innate drive to discover and willingness to try is also what makes Littles great at embracing new opportunities. 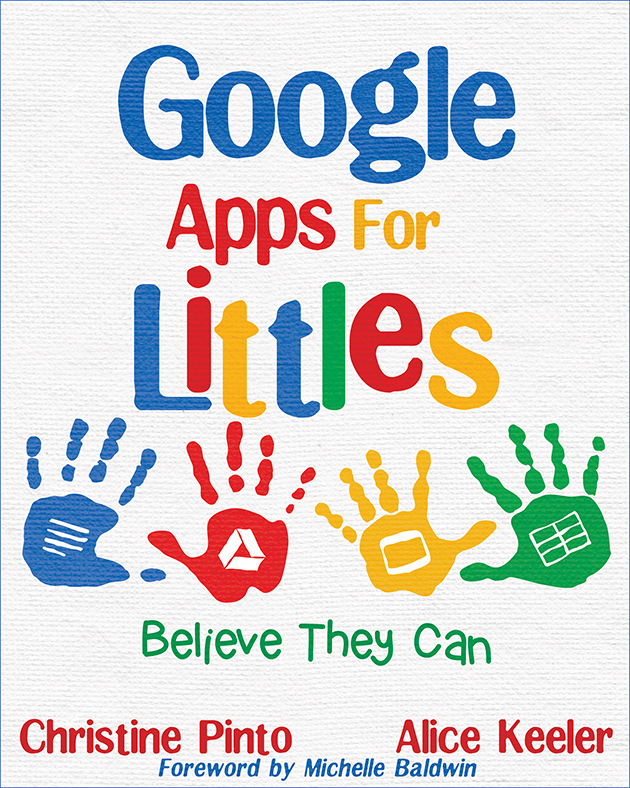 Google Apps for Littles equips you with . . .
Children already know that they don’t need to wait for a grown-up to give them information, and many are already familiar with smartphones and tables. By helping them understand how to use these amazing digital tools to learn and create, rather than just consume information, you are equipping them for their future education. Empower your Littles with experiences that place learning at their fingertips! It is time to shift your mindset and believe that the youngest kids on an elementary school campus can do more.